“The Lady From The Sea” is probably Ibsen’s most symbolic work. It is centred on Ellida, the female protagonist caught in a conflict between duty and self-determination. Stuck in her marriage to Doctor Wangel, she longs for the sea. When a former lover returns from years of absence, she is forced to decide between freedom and the new life she has made for herself. The action is transplanted from the icy Norwegian fjords to a sultry Caribbean beach, where the stifling heat adds to the feelings of being trapped, as relationships untangle and are knotted back together again, in Elinor Cook’s adaptation. Cook’s text, coupled with the strength of the performances, draws one into a fresh way of looking at the play. 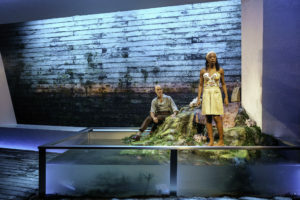 The language has an easy, contemporary feel bringing a crisp clarity to Ibsen’s themes: the divide between men and women. Even back in the late nineteenth century Ibsen called this “the modern tragedy”, presciently claiming that “a woman cannot be herself in today’s society” because it is shaped and dictated by men. Kwame Kwei-Armah, the next artistic director of the Young Vic, is at the helm. His uncluttered direction gives ample space for the comedy to tease through. Ibsen’s observations were often so acute they were funny – and Kwei-Armah embraces this. Throwing some tropical heat into the mix adds an extra, spicy lightness of touch. However, the Caribbean setting is not fully explored, and is often pushed into the margins. There is scant reference to the location and, during the more introspective moments, Lee Curran’s moody lighting too often dips back into the cold North Atlantic. The play’s action takes place on the day that the doctor’s daughters from a previous marriage are preparing the celebrations for their dead mother’s birthday. Ellie Bamber and Helena Wilson excel in playing the daughters, their loyalties torn between the memory of their mother and the grudging acceptance of their stepmother. Nikki Amuka-Bird’s Ellida is hypnotic, lending elegance to her deep-rooted longing that teeters on madness. 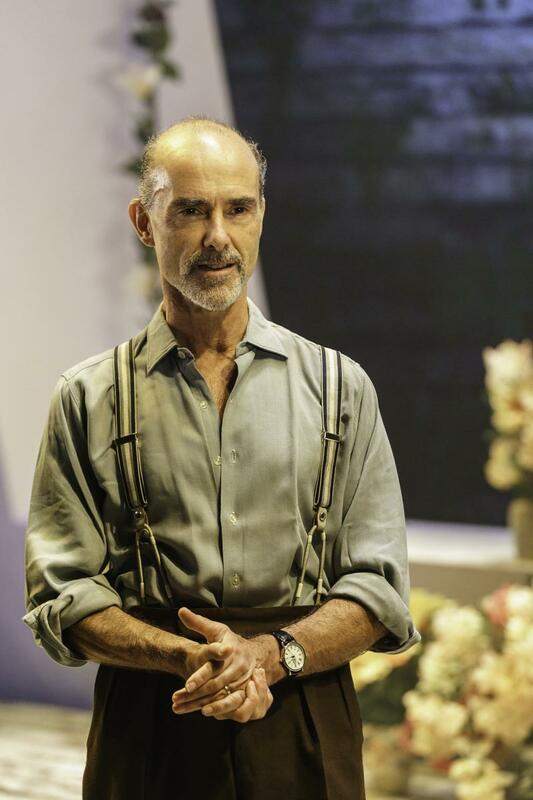 Finbar Lynch is a master at portraying the dilemma Elida’s husband faces. 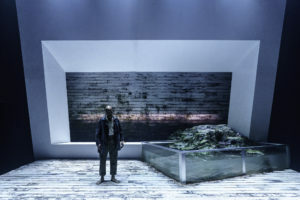 His commanding performance, just a few feet from the audience, impels us to share his turmoil: his struggle to reconcile his self-perceived duty as a husband with that of giving his wife the freedom of choice. Initially he believes that withholding that freedom of choice is protecting her, and it is only when he finally relinquishes his hold on her that they are both freed from the ghosts that haunt them. There is a surprising simplicity to the play, which is its appeal. The key themes are the subject of countless pop songs in today’s world. There are tragic moments but it’s also a play about love. But unlike many a pop song this play is perfectly pitched. There is a harmony in the collision of the two worlds; the spiritual and the political. “Paradise is all well and good until you’re trapped in it” echoes one of the characters. The strength of this production lies in the overriding feeling that Ibsen could have written this yesterday. Testament, not only to the playwright himself, but also to the team that have brought this pearl to the Donmar Warehouse.